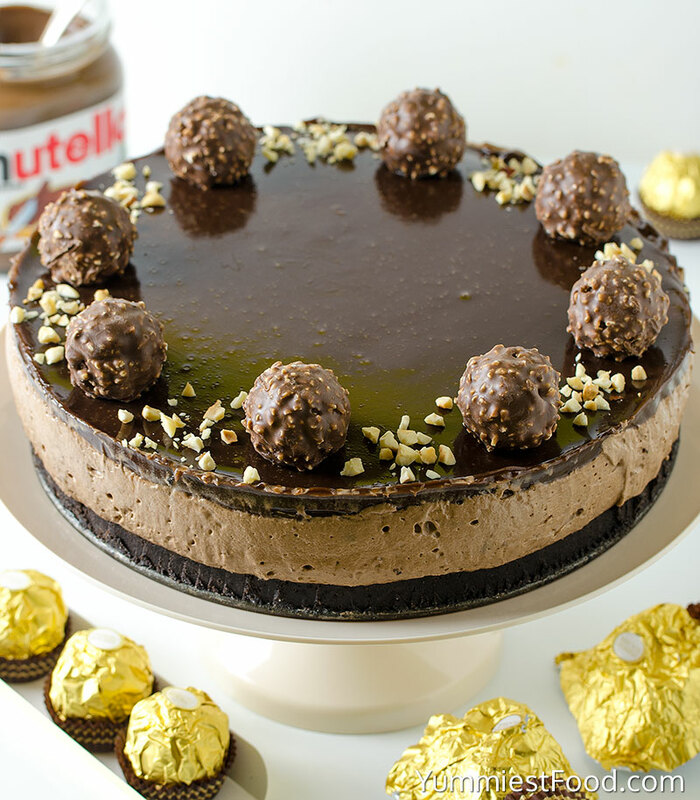 NO BAKE NUTELLA CHEESECAKE – Easy, rich and decadent, this cheesecake makes a beautiful, elegant and easy Ferrero Rocher Cheesecake Recipe for any special occasion! 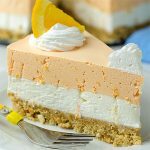 I am a huge cheesecake lover, especially when it is easy to make, no bake but still tastes amazing. 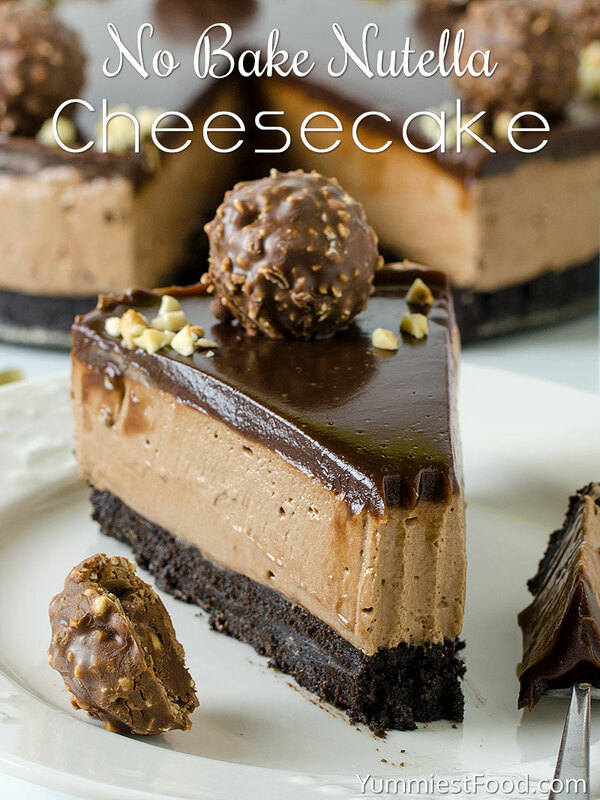 This easy No Bake Nutella Cheesecake recipe is rich, smooth and creamy, it’s the perfect cheesecake recipe and it’s gelatin-free. Rich Nutella Cheesecake is overflowing with flavor and this recipe is great for every time because it doesn’t require you to turn on your oven. 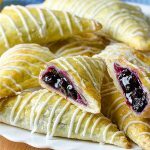 There are those times that you just don’t want to fool with oven, or worry about cracks, or take all that time to bake one. 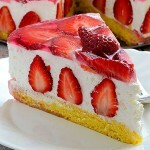 For those times, there’s cheesecake like this one. The crust is a classic Oreo crumb crust held together with a little bit of butter. 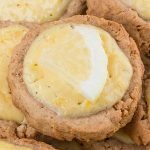 The base of the filling is cream cheese, softened so that it’s easy to beat and combine with other ingredients: powdered sugar, vanilla extract, heavy whipped cream and Nutella and topped with Nutella glaze. The Nutella glaze is highly recommended. It is a simple mixture of heavy cream and Nutella that goes over cheesecake once it has been refrigerated. Everything is perfect about this cheesecake so rich and decadent, but so easy to make. The hardest part of this recipe is waiting for the cheesecake to firm up in the fridge. Cheesecake has always been one of my favorite desserts and the last few months I’ve loved them more and more like. 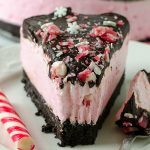 There are just so many things you can with them and so many flavors to try like: Layered Chocolate Cheesecake with Oreo Crust – No Bake, Peanut Butter Chocolate Cheesecake – No Bake. No Bake Nutella Cheesecake will keep for up to 1 week covered tightly and stored in the refrigerator or will keep up to 2 months covered tightly and stored in the freezer. No Bake Nutella Cheesecake is like heaven on a plate and it’s perfect for your next celebration, birthday, Christmas or for no reason at all. 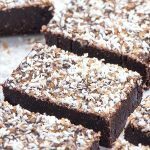 Because this recipe is so good, you don’t need another reason to enjoy it! 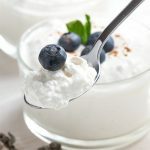 This is definitely a dessert you need to add to your must-make list. Enjoy! 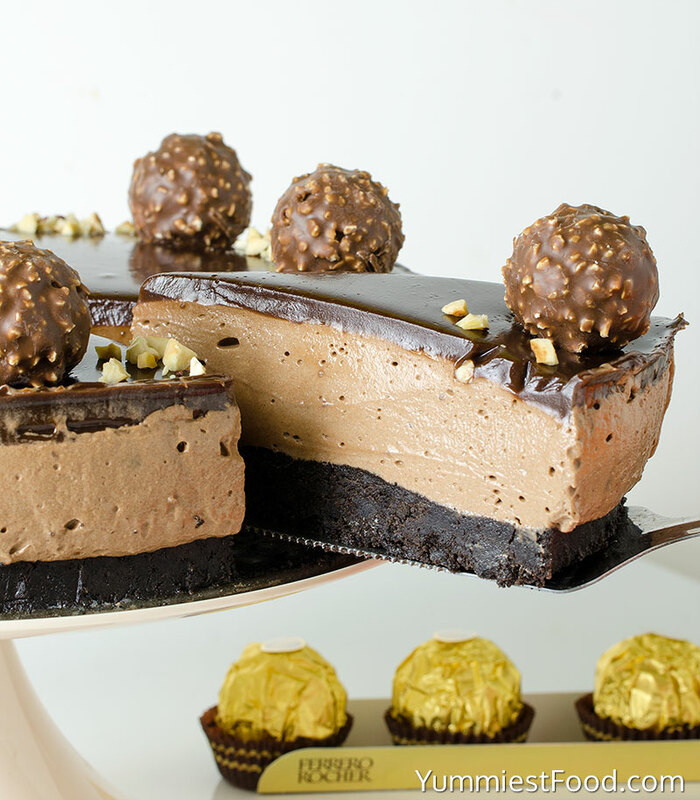 NO BAKE NUTELLA CHEESECAKE - Easy, rich and decadent, this cheesecake makes a beautiful, elegant and easy Ferrero Rocher Cheesecake Recipe for any special occasion! 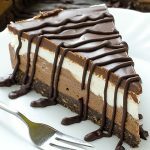 No Bake Nutella Cheesecake will keep for up to 1 week covered tightly and stored in the refrigerator or will keep up to 2 months covered tightly and stored in the freezer. « What Are The Responsibilities Of Food Packaging Specialists?